We learned that Belle & Bottle has been open in their new locale for just over three months and will soon be offering a monthly dinner where they invite local chefs and pair them with local wine makers. These dinners, will be by definition be intimate opportunities to learn about food and wine pairings from the masters of their crafts in an intimate setting. In addition, Belle & Bottle has reached out to Washington wineries who do not have tasting rooms in greater-Woodinville area and offers these wines to her clientele. Laura noted she is currently building her wine club and invited all the attendees to become founding members, where the first 100 people to join one of her clubs receive extra perks for the life of their membership, including 15% off all purchases and first shot at limited-edition wines. 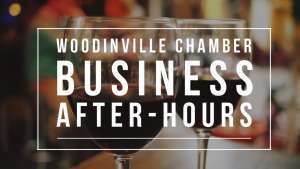 The attendees, which included a broad cross-section of businesses leaders from within the greater-Woodinville area and their guests took full advantage of the networking opportunity afforded by the Business After Hours. Drawing from her experience and relationships working at a local restaurant in Washington’s wine country, Laura Huston created Belle & Bottle as a fresh approach to club membership. Carefully curating the best offerings from boutique wineries, the club focuses on small lot releases of award-winning wines. The main clubs are predominantly Washington, but balanced by wines from outside the region to expose members to great finds, no matter the origin. A new local eatery with a very interesting back-story. Full service farm-to-table bistro with directly traded coffee & live music. Full bar featuring local artisan wines, beers, liquors, & craft cocktails. 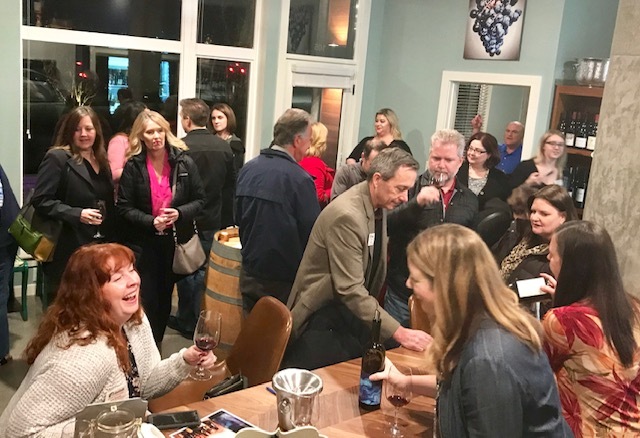 RSVP now for February’s Business After Hours on 28 February 2019, with our friends from Washington Federal who has invited Elevation Cellars to pour their wine to attendees.